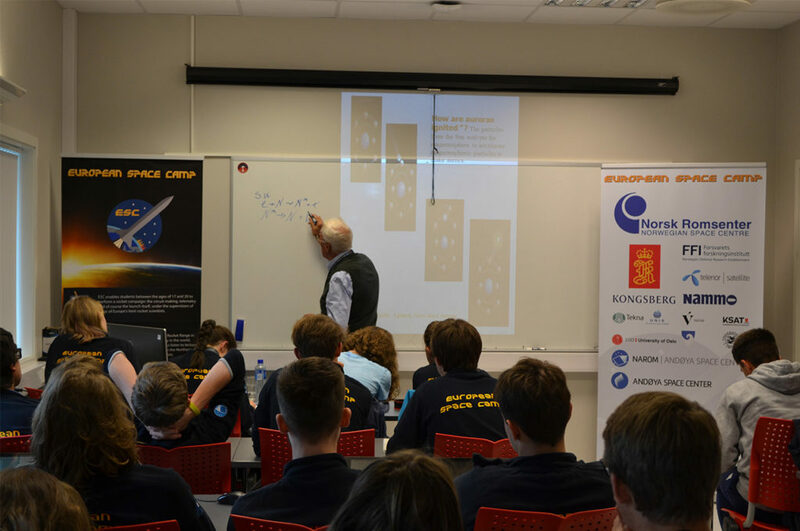 European Space Camp is a non-profit organisation completely dependent on the support of our sponsors and collaborators. Thanks to the participation of our sponsors, 521 people have had the opportunity to participate in European Space Camp. A huge thank you to our sponsors for 2019. Their financial support ensures the continuation of European Space Camp. The Norwegian Space Centre (NSC) is a governmental agency under the Ministry of Trade and Industry. The headquarter is located in Oslo. NSC promotes the development, co-ordination and evaluation of national space activities as well as supports Norwegian interests in the European Space Agency. The goals of NSC are to create growth in the space sector, meet national user needs, attain a leading position in space research and maintain a leading role in space-related ground infrastructure. 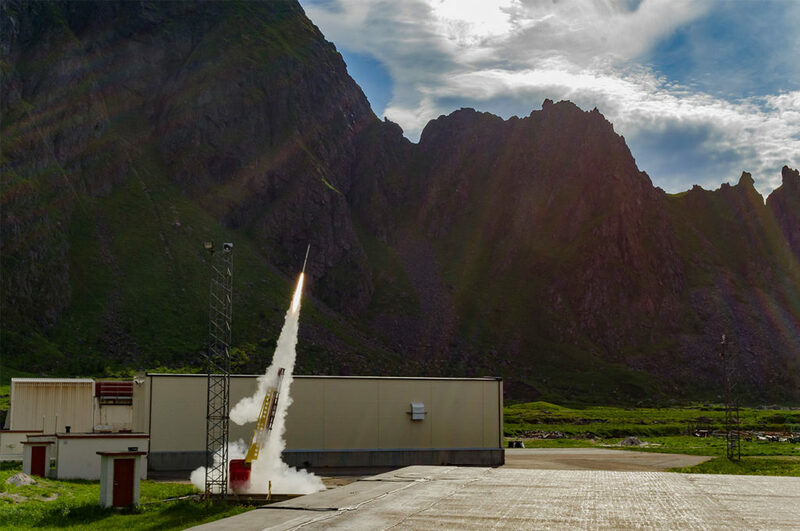 Andøya Space Center (ASC) is the world’s northernmost permanent launch facility for sounding rockets and scientific balloons and is responsible for all scientific-related balloon and rocket operations in Norwegian territory. ASC provides complete services for launch, operations, data acquisition, recovery and ground instrumentation support. The space center has conducted 698 rocket launches and hosted scientists and engineers from more than 70 institutes and universities. Kongsberg Space & Surveillance is a division of Kongsberg Defence Systems, and delivers a broad spectrum of equipment, systems and services related to space and maritime surveillance customers in more than 40 countries. The portfolio includes equipment and components for the European heavy-lift launcher Ariane 5, communication satellites, earth observation satellites and scientific space probes. The division is a world leading supplier of satellite ground stations for downloading and processing satellite data, as well as a supplier of satellite services from ground stations at Svalbard in the Arctic, the Antarctic and numerous other locations. The division is also a provider of maritime domain awareness systems and control centers for maritime surveillance, where integration of terrestrial and satellite data constitutes an important component. Kongsberg Space & Surveillance is a part of the Kongsberg Group, an international technology corporation with more than 7200 employees in 25 countries. Nammo is a manufacturer of military and civilian ammunition, the headquarter is located in Raufoss, Norway. The Nammo Group has subsidiaries in Norway, Sweden, Finland, Germany, Switzerland, USA, Australia and Canada and is owned fifty-fifty by the Norwegian Ministry of Trade and Industry and the Finnish defence company Patria Oyj. Nammo has nearly five decades of experience in developing and producing different rocket motors for missiles and space applications. Nammo has for instance delivered rocket motors and components to Ariane 5 since the nineties. Tekna – The Norwegian Society of Graduate Technical and Scientific Professionals, is the largest society for academics in Norway within science and technology. As a member, you can always count on Teknas support, be it on a legal issue, in pay negotiations or to safeguard your conditions on employment. In addition, you will enjoy the benefits of courses, take part in various professional and social events and excellent insurance cover. Tekna has some 65,000 members, and over 11,000 student members. UiT The Arctic University of Norway, located on a small island in Northern Norway on the edge of the Arctic, is the northernmost university in the world. Established in 1968, it is one of four traditional universities in Norway and has more than 12 000 students and 2 700 staff. The academic community in Tromsø is highly international. More than 20 % of the academic staff and 10 % of the student body are from abroad. UiT offers more than 20 English taught Master’s degree programmes within a variety of academic subjects, including a Master’s programme in Space Physics. In Tromsø, we study the physics of the upper atmosphere and its interaction with space, for example the physics of aurora and noctilucent clouds, with radar, optical, and rocket observations. KSAT (Kongsberg Satellite Systems) is a world leading provider of satellite ground station services and satellite based maritime monitoring services . KSAT is a commercial Norwegian enterprise with the head office located in Tromsø. Today KSAT supports more than 100 different satellite missions and has a world-wide customer base. KSAT owns and operates a truly Global Ground Station Network, consisting of 20 different locations. The KSAT Ground Station Network includes the world’s largest Polar ground station in Svalbard, at 78°N, and the Antarctic Troll Station, at 72°S. Andøy municipality is located in Nordland, Norway and belongs to Vesterålen archipelago. Andøy’s largest island is Andøya, where you can find the administrative centre Andenes. Andøy was created as a new municipality on 1 January 1964 after the merger of the old municipalities of Andenes, Bjørnskinn and Dvergberg. Today, Andenes is a thriving fishing village and enjoys a number of tourists every year. The main industries are fishing (70 fishing vessels and fish-processing plants in three separate locations), peat, tourism (such as whaling), military operations and space-related research. In addition, substantial amounts of meat, such as pork, beef and lamb, are produced in the municipality. European Space Camp is always looking for more sponsors to enhance the program and make the camp accessible to more participants. There are many reasons to become a sponsor of European Space Camp. In addition to playing a vital role in encouraging more students to study and choose a career within science, your involvement will be published across traditional and social media. Sponsors are featured yearly in social media posts. Additionally, the sponsor’s logo will be visible in pictures and videos from camp. All of our sponsors have a chance to have promotional material, like a brochure, attached to the ESC program the participants get. The opportunity to present a lecturer to European Space Camp participants on behalf on their organisation (depending on amount of funding).